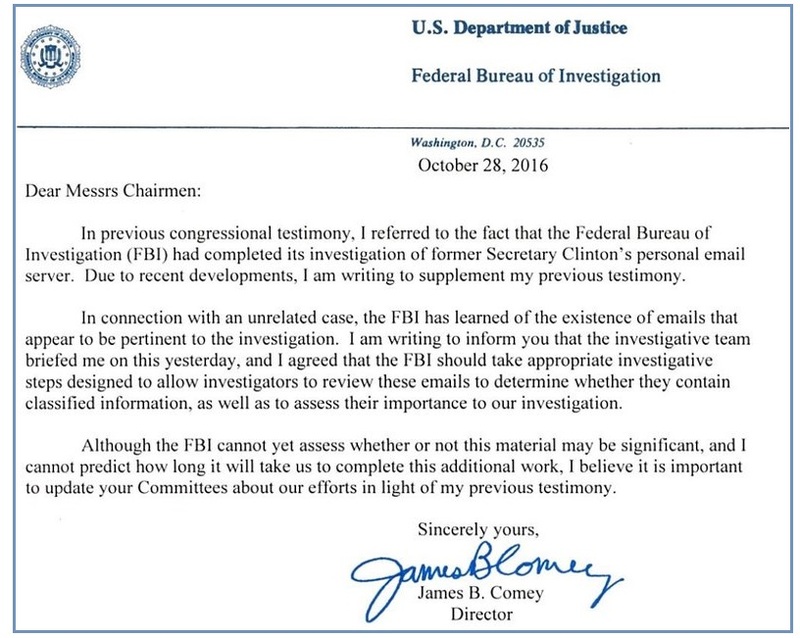 On Friday afternoon, October 28, Comey announced in a letter to Congressional committee heads that he was reopening the investigation into Hillary’s homebrew server. This broke tradition, as the Hatch Act states that no indictments likely to upset or influence an election should be brought 60 days ahead of an election. Comey was apparently aware of these emails days earlier. Abedin, like many State Department officials, found the government network technology to be cumbersome, and she had great trouble printing documents there, investigative records show. As a result, she sometimes transferred emails from her unclassified State Department account to either her Yahoo account or her account on Clinton’s server, and printed the emails from there. The emails came under scrutiny because of Weiner’s sexcapades, which allowed the US Attorney for the Southern District of New York to confiscate the laptop and search Weiner’s emails. They stumbled upon email related to Hillary’s homebrew server and informed Comey. Preet Bharara is an aggressive US Attorney known for going to the press to publically prosecute his cases. 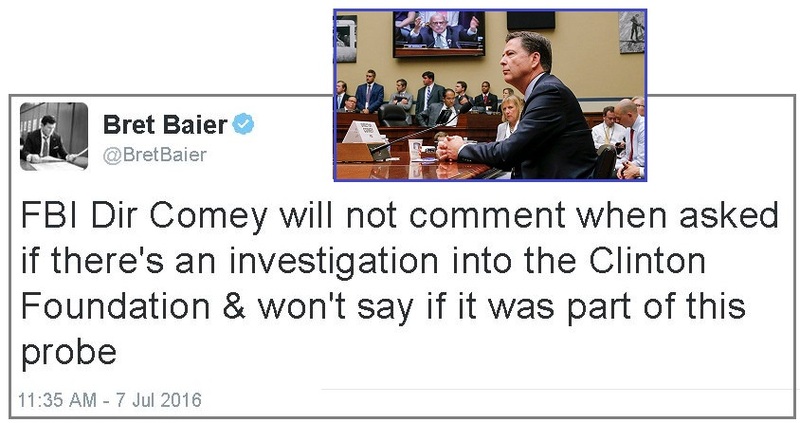 Thus Comey had no choice but to break the Hatch Act and risk the displeasure of both Lynch and Obama. Preet Bharara, the New York prosecutor known as one of the toughest in America, issued a subpoena for Mr Weiner's mobile phone and other electronic records after the “sexting” came to light in September. The FBI has multiple investigations on the books involving the Clinton Foundation. The one in New York City, where the charity is based, is reportedly headed by U.S. Attorney Preet Bharara, a prosecutor who made a name for himself in the midst of the financial crisis by acting on fraud and public corruption cases. In a folder titled Life Insurance, 650,000 emails were discovered. This massive number was not generated by Anthony Weiner, and is taken by server experts to be basically an automatic update from Hillary’s homebrew server. It would thus likely contain the 33,000 missing emails deleted by Hillary and cleansed with BleachBit. Life Insurance? Was Human trying to insure that Hillary would not kill her, for knowing too much, but having the goods on Hillary? There is a chance some of the emails could be duplicates of those they have already seen, but investigators could also find it is a trove of messages Clinton deleted from her server. Many believe Hillary Clinton has left a wake of bodies in her path. For years people have been committing suicide, disappearing and dying of mysterious causes. It seems Huma Abedin is worried enough about Hillary Clinton to take precautions. She created her own kind of “life insurance” in the form of information damaging to Hillary Clinton. Per the Zetas, what lies within this mother lode of emails is more than Pay to Play arrangements whereby Hillary sold US assets in exchange for cash to she and Bill. It contains evidence of treason! ZetaTalk Insight 11/5/2016: Where this is the excuse being used by Comey to reopen the investigation into the homebrew server, this is not the real reason for the FBI to break tradition and make such a public announcement just 11 days ahead of a national and hotly contested election. This is in fact much worse than the Pay-for-Play arrangements that have already become obvious among the emails released to date. Why were 33,000 emails deleted? They of course contained more than personal chitchat. And they contained more than arrangements for Hillary as Secretary of State to meet potential donors. Hillary offered Heads of State in other countries certain deals if they would support her candidacy. Per Ben Fulford’s sources, she even offered a brief nuclear war to support one such arrangement. Such discussions do not take place over the phone, where voice analysis can identify the parties. They do not take place through normal channels either. A face-to-face courier is best, but in a heated campaign where Trump refused to be dispelled, private email accounts were used. Using code names, a hack would not piece the puzzle together, but when Huma is in charge, it becomes obvious. This is treason! Last July the Zetas stated that Dunford had offered Hillary a plea deal: drop out of the race and prosecution of the Clinton Foundation will be stopped. It was notable that Comey refused to comment on the Foundation investigations. Hillary has obviously decided to give Dunford the middle finger and go for the Gold. Is Dunford about to drop the net over Hillary? ZetaTalk Insight 7/2/2016: Under Dunford’s direction, the indictment is proceeding. On June 22, when Hillary was briefly in Washington DC supposedly to talk to Congress folk, she was meeting with the DOJ to accept or reject a plea deal. Later that day, on a campaign stop, she looked teary and distressed. This week her health problems have returned, another coughing fit, and in LA on June 29 her eyes were bloodshot and she looked exhausted and worried. On October 21, 2016 a major Domain Name Server (DNS), Dyn, was attacked with a crippling flood of transaction requests, known as a Denial of Service (DDOS) attack. 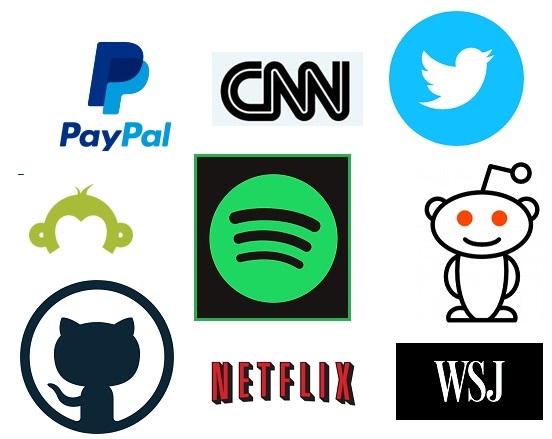 Unable to get the numeric address for domain names such as FaceBook, CNN, or Yelp the public found themselves unable to reach their favorite sites. The attack first affected the East Coast of the US, then spread to Europe, then the West Coast of the US. It was assumed, on the face of it, that this attack was retaliation for Wikileaks Assange cutoff from the Internet. The hand behind the Assange cutoff was known to be John Kerry, the current US Secretary of State. But Wikileaks denied being involved in the DDOS attack. 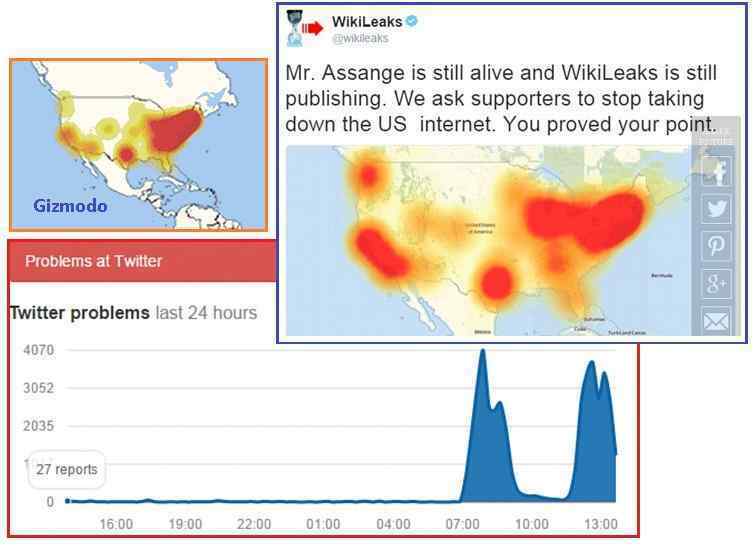 WikiLeaks believes its supporters were responsible and urged them to 'stop taking down the US internet', saying: 'Mr Assange is still alive and WikiLeaks is still publishing.' It then tweeted: 'The Obama administration should not have attempted to misuse its instruments of state to stop criticism of its ruling party candidate.' The Department of Homeland Security has already launched an urgent investigation into the crash, amid claims it could be a precursor to an attempt to disrupt the US Presidential election further. First denial of service (DDoS) attack mostly affected the east coast of the US. A second attack appeared to be centered on UK servers. Attacks were underway on servers across the globe, with the west coast being particularly badly hit. Who was the perpetrator? No one knows. The attack was conducted via millions of internet-connected devices, such as coffee makers and cell phones and baby monitors – devices attached to the Internet but without the normal security that home computers routinely employ. How did this happen? Via a virus called Mirai. And per the Zetas this is likely not the only virus waiting to be used in this manner. Internet of Things devices were targeted and that covers anything with an internet connection. This includes everything from a standard computer to cellphones to Google Home to video cameras. In fact, the Prodigo Espresso maker relies on Internet of Things (IoT) technology. Therefore, a fancy coffee maker could have been partially responsible for putting a pause on Spotify. Was Friday's Massive Hack Mounted through Baby Monitors? Early investigations into the attack that crippled websites across the US and in some parts of the UK on Friday found the 'internet of things' could have been used to overload servers at Dyn - the company that was targeted. 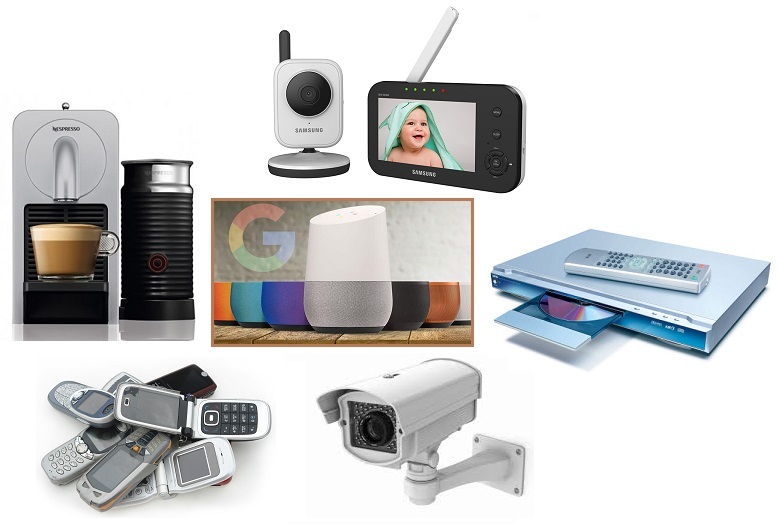 The shocking development revealed almost 500,000 items were potentially at risk of being activated without their owners' knowledge, with everything from baby monitors, DVRs, security cameras, and other gadgets turned into cyber weapons. 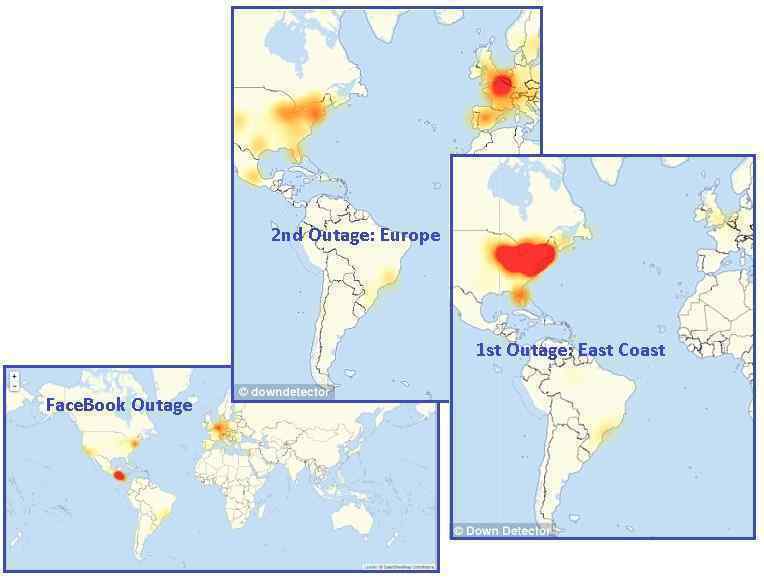 The attackers used hundreds of thousands of internet-connected devices that had previously been infected with a malicious code that allowed them to cause outages that began in the Eastern United States and then spread to other parts of the country and Europe. At least some of the malicious traffic was coming from connected devices, including webcams and digital video recorders, that had been infected with control software named Mirai. Mirai was successful because so many webcams, digital video recorders, etc have been produced with default passwords that have never been changed. A simple internet scan identifies them and they can quickly be compromised. Per the Zetas, the corruption and lies surrounding the Hillary campaign will continue, including the type of election fraud that delivered the Primary to Hillary when Sanders actually won. There is a battle behind the scenes between good and evil, to deny her the election. If this requires the 2016 election be delayed due to Earth changes, then it is anticipated that Soros will jump up and suggest an Internet collection of ballots, and will even pay for this. Per the Zetas, this DDOS was to show that such a maneuver could not be conducted safely. ZetaTalk Insight 10/22/2016: On the face of it, the DDOS attack looked like retaliation for John Kerry and the Hillary campaign forcing Ecuador to cut Assange’s Internet, but there is far more to this picture. Who did this, and why? The Clinton campaign uses many techniques to conduct election fraud, which was done extensively to steal the Primary from Sanders. Except for caucus states, where Sanders fans double checked the counts, and except for Michigan where the fraud setup failed Hillary, all states were fraudulently stolen for Hillary. The public is familiar with the Diebold paperless system that allowed Bush to “win” in 2000 and 2004. Few states, notably Pennsylvania, still run with that hapless system. In the main, totals were changed by laptop computers in a parking lot nearby, using wifi to swap the totals, and this could never be verified as no paper trail existed. But even where backed up by paper ballots, slid into a scanning machine with the totals tallied and sent to a central site in the county or state, electronics is used. There is no guard against wifi swapping of totals. The totals are also sent in via phone calls or even email. These can be intercepted and the totals swapped. A state database can be accessed so the totals can be swapped. The Council of Worlds likewise could step in, and some of the options for this forced delay of the 2016 elections include a severe wobble, a massive New Madrid rupture, EMP attacks caused by Nibiru and primarily affecting the East Coast of the US, or undeniable evidence of Nibiru suddenly available to the public so there is mass panic in the citizenry. If the citizens cannot get to the voting booths, because roads are torn up or blocked, then the vote cannot be conducted. Soros and other Clinton crime buddies have suggested Internet voting as an alternative. The DDOS attack, done by the many human teams working with the Council of Worlds, was to demonstrate that this route is also not secure. Is Hillary planning to flee to Qatar? There to live in a palace like a queen, immune from extradition to the US? It certainly looks like this is at least a backup plan. It is being reported by the Kremlin that the Wicked Witch of Benghazi has moved $ 1.8 billion from the Clinton Foundation to the Central Bank of Qatar. Does she realize there is no hope that she will prevail in the upcoming election and she and Slick are simply feathering their nest for retirement? Billions of dollars that have passed through the Clinton Foundation over the past two decades are unaccounted for. Six billion dollars for Haitian earthquake relief went through the Clinton Foundation, less than 2% of which ever reached the Haitian government. Where is the rest, the Haitians and the world want to know? An intriguing Ministry of Finance (MoF) report circulating in the Kremlin today says that elite Western bankers were “stunned/bewildered” a few hours ago after the Bank For International Settlements (BIS) registered a $1.8 billion transfer from the Clinton Foundation (CF) to the Qatar Central Bank (QCB) through the “facilitation/abetment” of JP Morgan Chase & Company (JPM)—and for reasons yet to be firmly established. According to this report, the Bank for International Settlements is the world’s oldest international financial organization and acts as a prime counterparty for central banks in their financial transactions; the Qatar Central Bank is the bank of that Gulf State nations government and their “bank of banks”; JP Morgan Chase & Company is the United States largest “megabank”. With Hillary Clinton’s US presidential campaign Chairman John Podesta having longstanding ties to the Russian mafia and money laundering, the Foreign Intelligence Service (SVR) maintains “complete/all times/all ways” surveillance of him and his criminal associates. A highly classified SVR amendment to this MoF report states that upon Qatar receiving Hillary Clinton’s $1.8 billion earlier today, one of that sheikdoms royal places was “ordered emptied” in preparation for the “early November arrival” of a “high value” dignitary—Hillary Clinton perhaps? 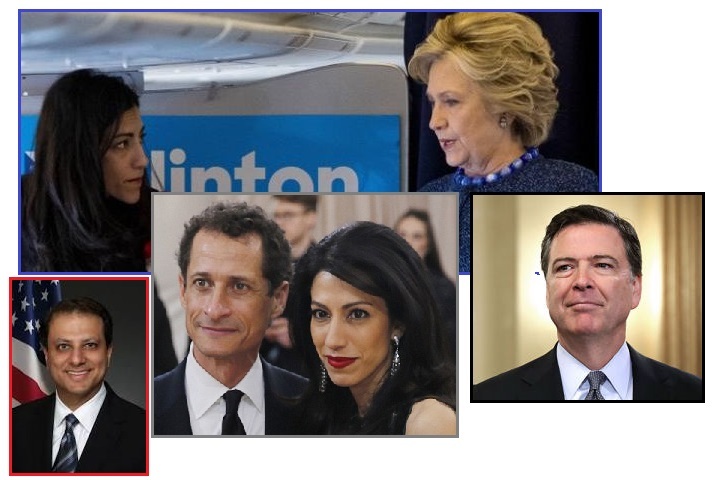 ZetaTalk Insight 10/29/2016: The threat of prosecution by Dunford has been hanging over the Clinton Foundation, a parallel investigation done in concert with the investigation into classified documents on the homebrew server setup by the Clintons. Pay to Play, or Quid pro Quo, was documented on the emails that had been deleted by Hillary. The FBI recovered these from a backup server. Dunford offered Hillary a plea bargain – no prosecution if she drops out of the race – but Hillary is going for the Gold hoping the rigged polls and planned election fraud will intimidate Dunford. She is wrong. 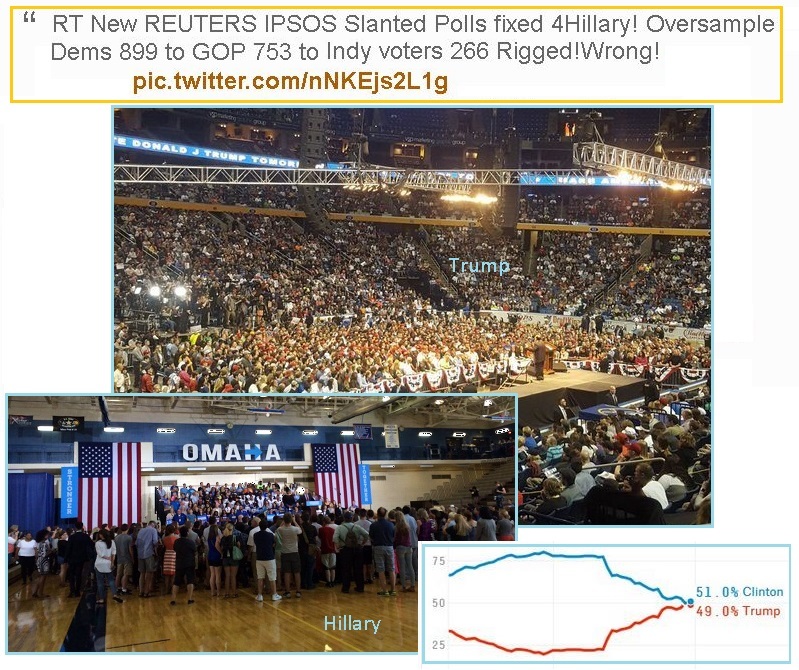 The polls have been massively skewed to show Hillary winning, but as can be seen by the crowds Trump draws this is not the case. Major media outlets like CNN and NBC are so controlled by the Clinton crime family that they dare not mention her health or crimes. This is the setup meant to sweep Hillary into the White House. The public is to assume that she won, when the mechanism for election fraud in all states is firmly in place. Why should the Clinton crime family then fear Dunford’s threats or a win by Trump? This financial transfer of $1.8 billion to Qatar was due to their inability to stop Wikileaks. Assange escaped, and the Wikileaks continues apace. The Clintons fear their control over this process unraveling. The breaks could come from many directions. Their ability to intimidate the pollsters and the media come from the expectations that Hillary will march to the Oval Office, unstoppable. It is an old and true adage that when a King or a bully falters, those they have mistreated turn on them for savage revenge. The reins of power fray quickly. The campaign has also heard the rumors about a delay in the 2016 election. This would presumably allow Hillary to return to her power grab at a later point. 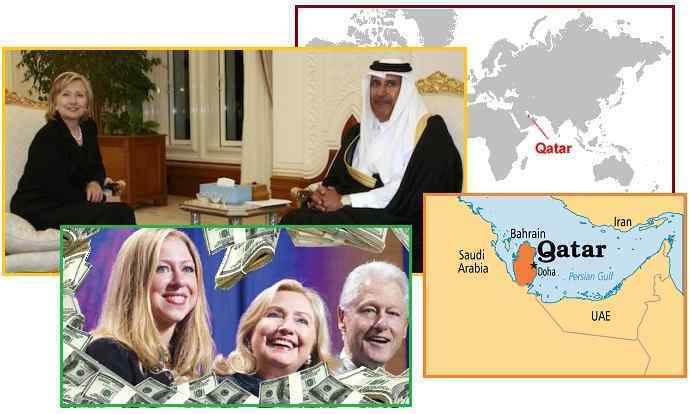 The transfer of $1.8 billion to Qatar was done to assure an escape route for the Clintons should matters go terribly wrong in the US. It is not fear of Trump winning, as he could not demand prosecution until January, 2017. Qatar has no extradition agreement with the US. If the 2016 election is delayed, her ability to demand cooperation from the US media and pollsters has melted away. Thus, they are prepared to flee!